Hitachi’s EMIEW3 will help travelers find their terminal. 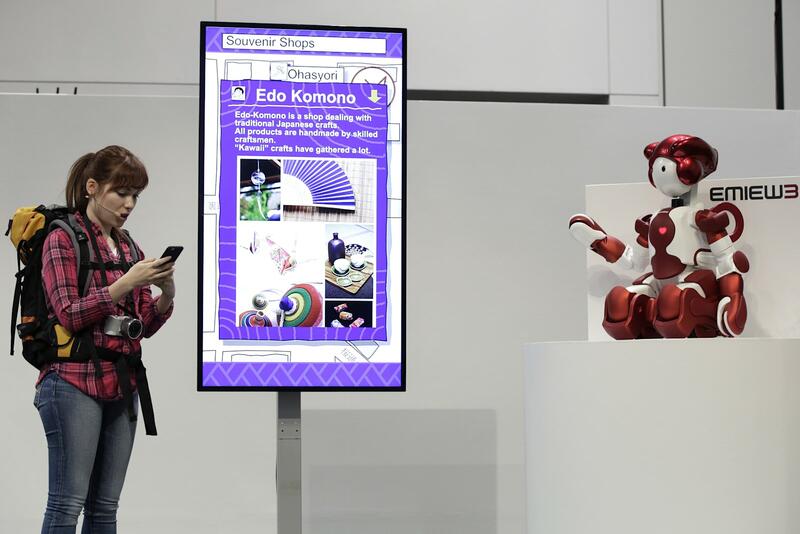 Getting lost in an international airport is never fun — but if you’re lost in Japan’s Haneda this month, you’ll at least be able get help from an adorable talking robot. From now until the 14th, Hitachi is testing its EMIEW3 humanoid robot in the airport’s passenger terminal. Over the course of two weeks, EMIEW3 will direct visitors to an information display and answer questions in both English and Japanese. It’s a modest test, but it’s ramping up to something much more impressive: In December, the robot is scheduled to return to the airport as a guide. Visitors will be able to ask for directions to say, the currency exchange counter, and EMIEW3 will physically lead them there. Neat! Hitachi’s bot is particularly well suited to the task because of it’s mobility: it can zip along at a steady 3.7MPH and even pick itself up if it falls down. Just don’t ask it to take you directly to your gate — airport security probably isn’t used to clearing robots.